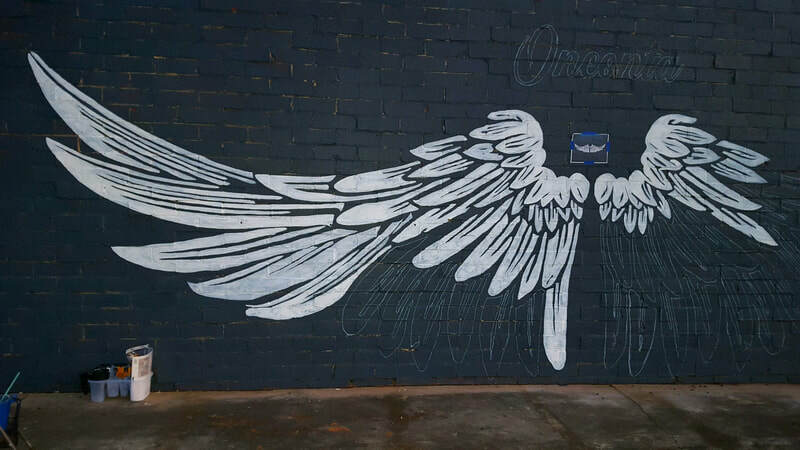 The Oneonta Angel Wings Mural is located on Railroad Boulevard in Oneonta, Alabama, adjacent to the City's Gazebo and Utility Board. 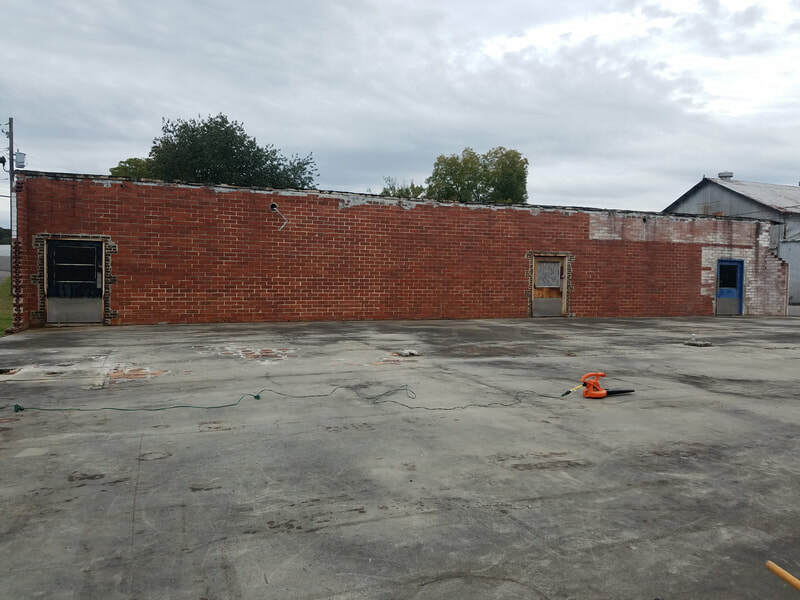 With the blessings of the building owner, Mike Malone, the Oneonta Business Association decided to adopt this project as a means of boosting tourism and promoting community. 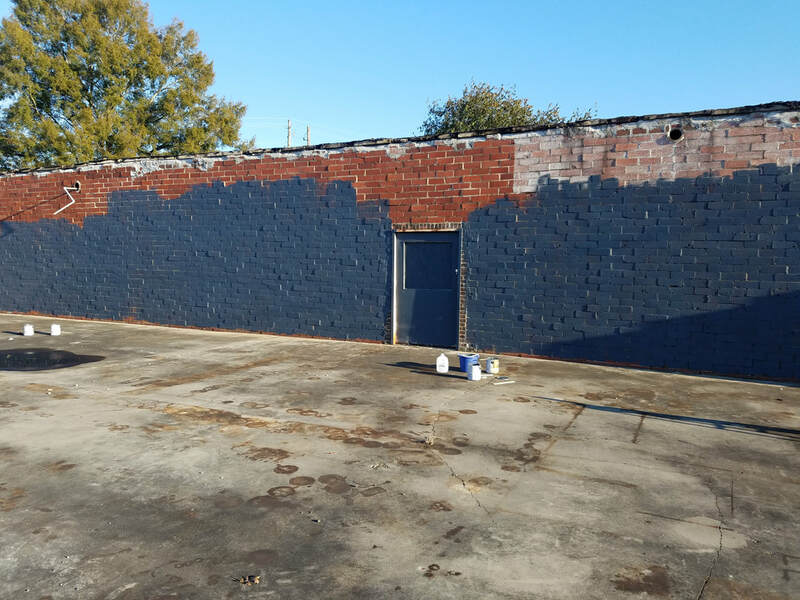 Local artist Tara Murphree of Oneonta painted the mural which took over 40 hours to accomplish. 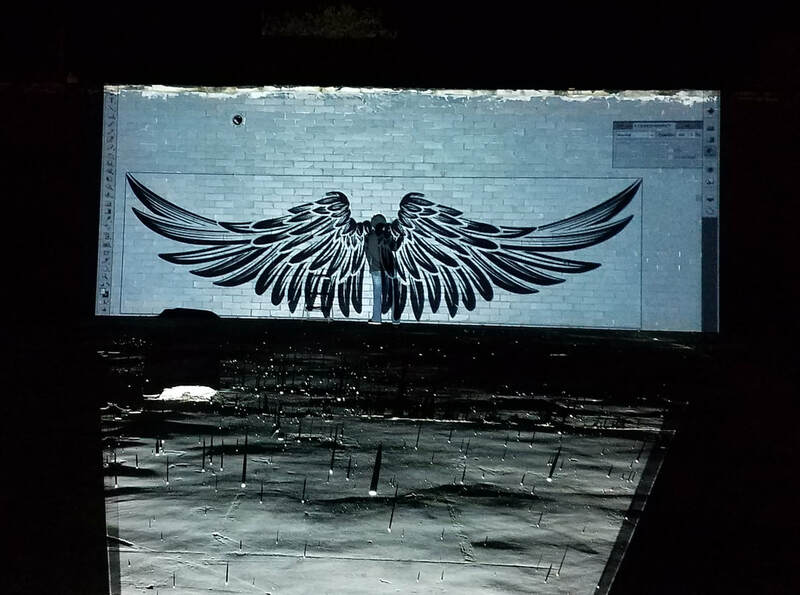 The Global Angel Wings Project was begun by artist Colette Miller in 2012 in the streets of Los Angeles, California, known as the "City of Angels." These murals were "painted to remind humanity that we are the angels of the earth." They are human-sized and interactive public art, wings that people take photos with and thus become part of the artwork. On Colette's website it reads that "The first pair was just street art, but the response was natural, immediate, and spontaneous...from people of all sorts and backgrounds." 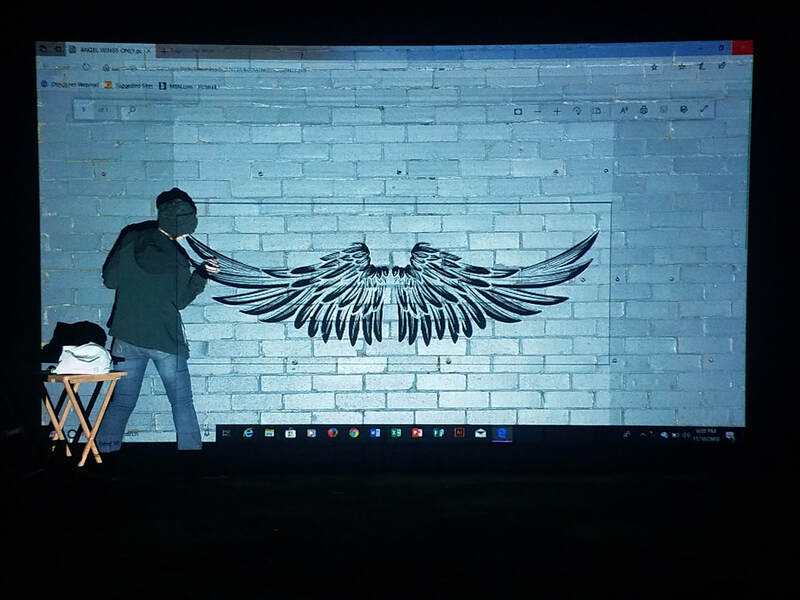 Colette has painted wings globally in Kenya, Australia, Taiwan, France, Cuba, Juarez (Mexico), and beyond, as well as many places across the United States. She even has a page on Pinterest where people share their photos taken at her murals. 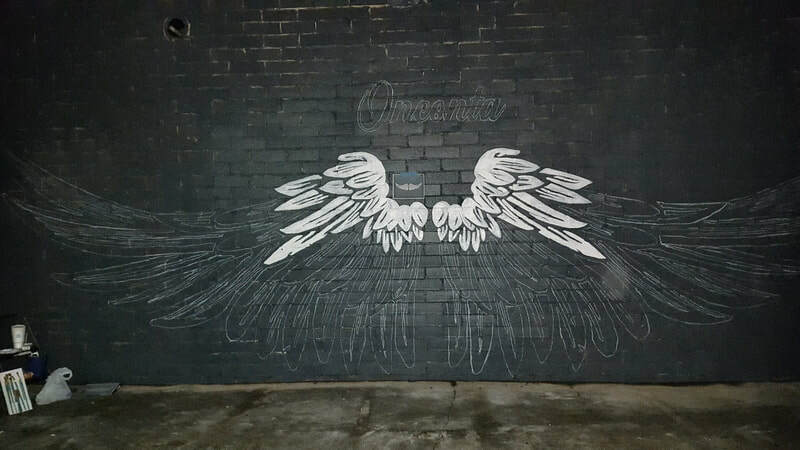 Other angel wings murals have followed, painted by various artists, in Nashville, Memphis, Washington DC, other cities...and now Oneonta, Alabama! Individuals are invited to take photographs and post them on social media. 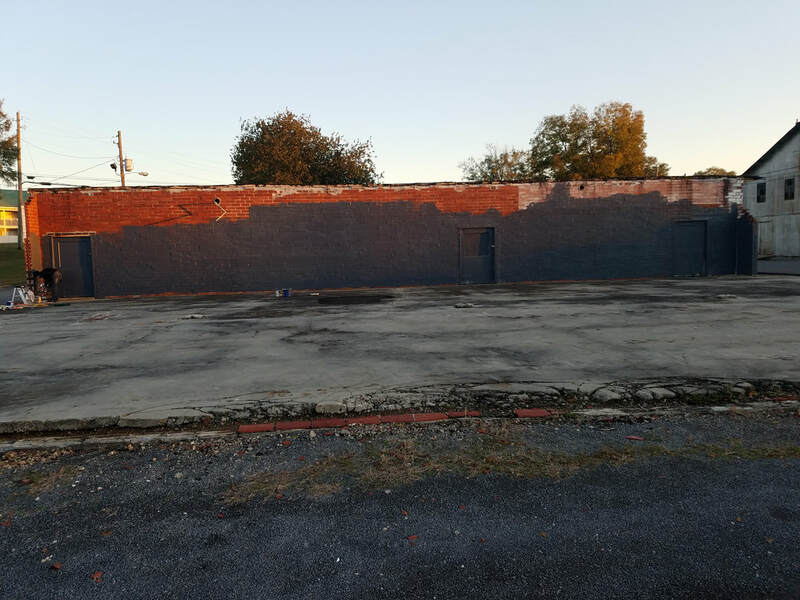 However, as the posted sign says, use at your own risk as the concrete platform in front of the mural has uneven terrain in places. The area is also under 24-hour surveillance. 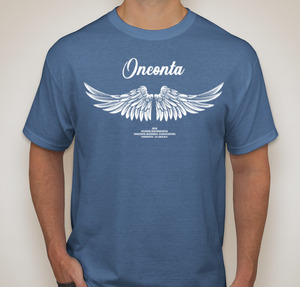 When posting your photos, please use the hashtags #angels in oneonta, #shoponeonta1st, #oneontabusinessassociation, #taramurphreeart. Send us your photos of yourself and loved ones at our mural! 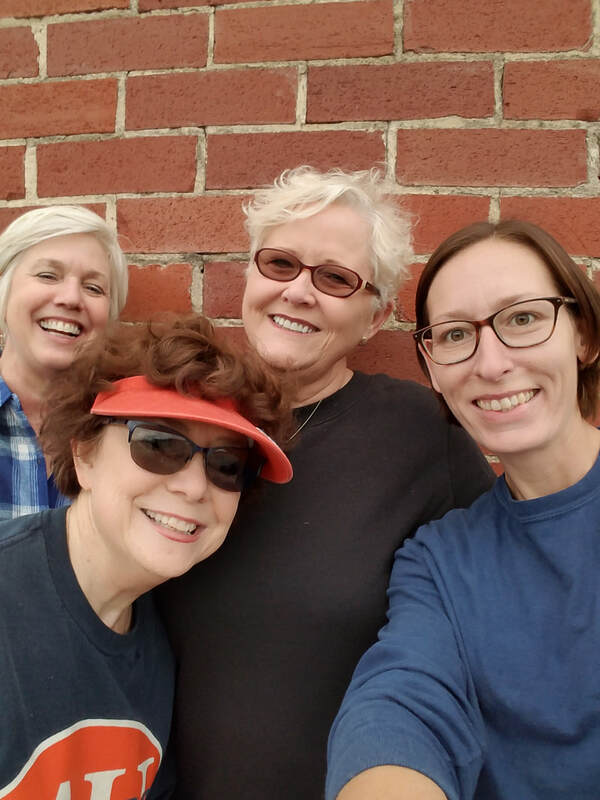 Email your photos to​ ​info@oneontabusinessassociation.com and we will add your photo to a special gallery here on our website! We will be posting photos as the work progresses. 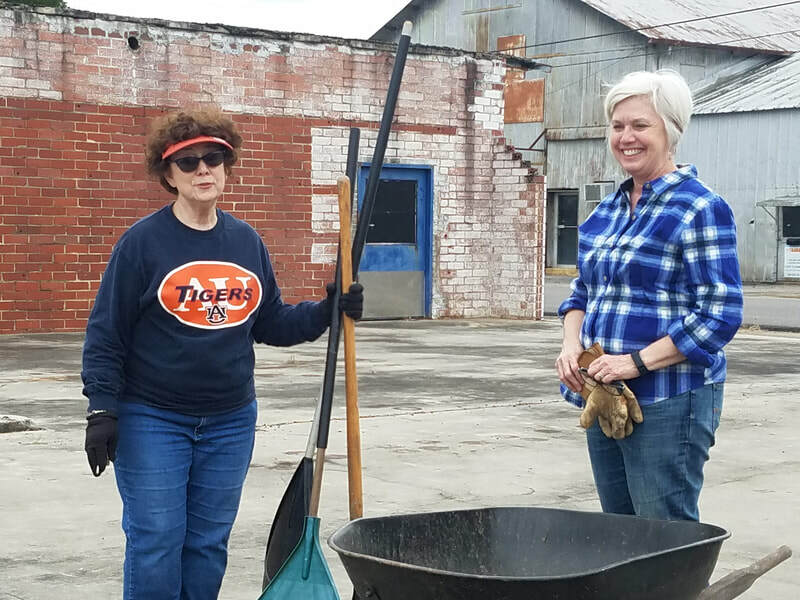 Special thanks to Deb Talley, Rachel Gargus, Tara and Clay Murphree, Daniel Clem, and Patti Moss Williams for helping with site prep!